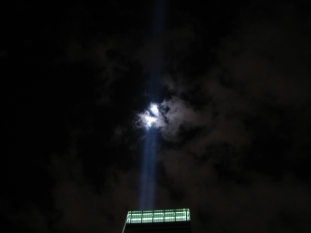 Portrait of the "Tribute in light" 2006. Over the past year, got a new digital camera - a Canon SD 400 - it is one of the more cool toys I've gotten recently. I've used it to snap some cool pictures. I've started keeping track of the restaurants and bars that my friends and I think are worth recommending to people - and with Google Maps help, I'm able to put it on the map. Encouraging realism in economics - scary, huh? My friend Chris, who is nice enough to host this website for me, has great aspirations. Here's a picture of where he wants to end up. Speaking of friends... my friend Jon is keeping a blog of his adventures since he experienced burn out from our job at Nasdaq.